It hurts me to write this article, because I like Ray Comfort. I believe Mr. Comfort is a sincere man, but sincerely wrong. Unfortunately, as is the case with John MacArthur and so many other heretical Bible teachers today, Ray Comfort teaches a false gospel. The great deception is that 95% of everything they say is good wholesome Bible. Ray Comfort is an eloquent speaker, and he is certainly correct on the issue of God's Law, i.e., a person cannot be saved without realizing their GUILTY condition and condemnation under the Law of God. Please read, Ray Comfort Teaches Another Gospel. HOWEVER, the big problem with Ray Comfort and Kirk Cameron is that they teach the damnable heresy of LORDSHIP SALVATION. Like all Lordship Salvationists, Ray Comfort errantly teaches that salvation by faith ALONE in Jesus Christ is not enough to save someone. That is a false gospel. According to Ray Comfort, a person MUST also cease from their sinful lifestyle and give up worldly living to be saved. Thus, eternal life ceases to be a gift in Ray Comfort's gospel, which has now been turned into a reward. It is much more than a matter of mere semantics. The Bible teaches one Gospel, not two. Heresy! This is a backwards gospel, where a sinner must reform as a prerequisite to qualify for salvation. In this false gospel, the burden of changing is placed upon the sinner instead of upon the Lord. It is indeed salvation by self-righteous works. The gospel is a big deal and worth fighting over. Ray Comfort leads sinners to believe that God will not save them unless they are willing to stop sinning; but the Bible disagrees with Mr. Comfort. In Biblical salvation, you come to Christ by faith to be forgiven of your sins, and then God works on your heart to change as you grow in the milk of the Word (1st Peter 2:2). God chastises His children who continue in sin (Hebrews 12:6-8), but all believers sin (Romans 7:14-25). Ray Comfort says that lustful and thieving believers never got saved (as seen in the following quote). In sharp contrast, read what Dr. John R. Rice (1895-1980) has to say Scripturally about worldly believers. That is self-righteousness! Clearly, Ray Comfort believes that some personal effort to depart from sin is necessary to be saved by God. This is self-righteousness; and not the salvation of the Bible which is received freely by faith in Christ. Revelation 22:17 states: "Let him that is athirst come. And whosoever will, let him take the water of life freely." Romans 4:5 plainly states that one's faith in Christ makes that person righteous in the eyes of God. Adding even the slightest work of self-righteousness to the Gospel corrupts it into a false way, a false plan, a road to damnation. It wasn't because they still had personal sins in their life in Matthew 7:22-23 that God rejected them. It was because they had churchianity without Christianity. Every believer still has sin in their life! We all sin every day. That's not to say that we have God's approval to sin, God forbid (Romans 3:31). It just means that even the best of Christians are still sinners. Ray Comfort wrestles the Scriptures to his own destruction (2nd Peter 3:16). The reason why the religious people in Matthew 7:21-23 were not allowed into Heaven was because they had failed to do the will of God the Father; by believing on Jesus Christ, the Son of God (John 6:40). They died in their sins, in their own self-righteousness (Ephesians 2:8-9). They ran around saying “Lord, Lord” like the unsaved Lordship Salvationists, perverting the gift of God into a lie. Again, the reason why the religious people in Matthew 7:21-23 weren't saved is because they REFUSED to obey God's will concerning the Gospel of Jesus Christ. It had nothing to do with personal sins that were still in their lives. Ray Comfort is a dangerous Bible teacher, who believes that he is saved because he tries really hard not to sin, in addition to whatever faith he has in Christ. The big problem with his warped theology is that you're not really trusting Christ if you're also trying really hard to stop sinning as part of your salvation. That is self-righteousness my friend; a false Gospel. You can't show me one verse in the entire Bible that requires a person to give up their sinful lifestyle to be saved. Salvation is receiving, not giving. It's not what you're doing that gets you to Heaven, it's where you're looking. It's not just a matter of semantics. Salvation is not something you do to get; it's something you receive to have. Why is that so hard for some people to grasp? 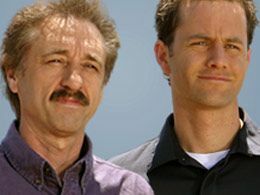 “LIVING WATERS” ministry logo, top left, of Ray Comfort and Kirk Cameron. Notice the letter “C” forms an eye in Pat Robertson's Christian Broadcasting Network, bottom 2nd from left. 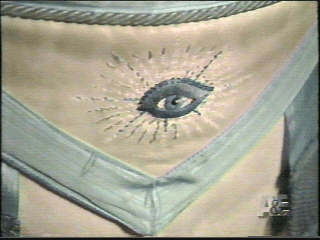 A Mormon apron with an eye, bottom 2nd from right. 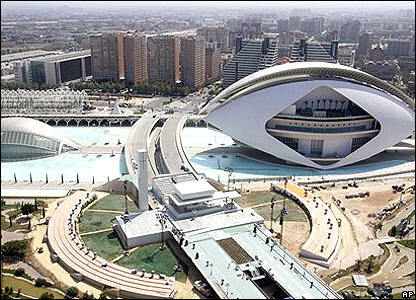 Bottom, center, Italy's City of Arts and Sciences where the Pope spake. On Ray Comfort's Way of the Master website, there's a logo for Living Waters, which is an Illuminati eye. 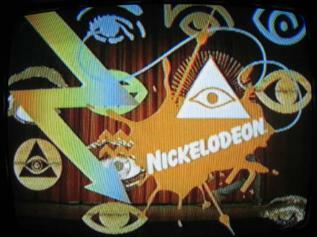 The 4 circles below the words “LIVING WATERS” make up the pupil of the eye. I believe Ray Comfort is a part of the New World Order, i.e., he is helping to lead people into the Ecumenical Movement and ultimately into a one-world religion. Ray Comfort is not as deep into the Ecumenical Movement as is Billy Graham, but he is close behind. 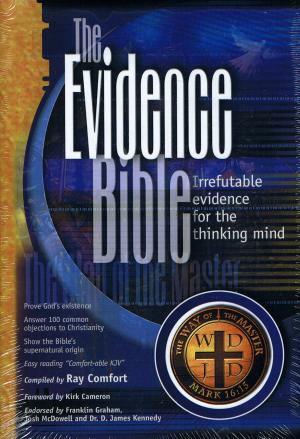 Billy Graham's son wrote the foreword for Ray Comfort's The Evidence Bible. None of these ministers will openly expose the Catholic religion and Pope as being of the Devil. They are silent, to avoid offending anyone. We'll I will step up to plate to bat if they won't... the Pope is the vicar of Hell and the Catholic religion is straight out of the pits of Hell. Lordship Salvationists; such as, Ray Comfort, Paul Washer and John MacArthur, have a totally different MINDSET toward salvation than genuine born-again believers. The Bible teaches that eternal life is a free gift to be freely received, with no strings attached nor obligations required. In sharp contrast, Ray Comfort, Paul Washer and other Lordship Salvationists, have the flawed mindset that salvation is not easy to obtain, and that the price must be paid of forsaking the world, and that faith by itself will not save a man without an earnest desire to stop committing them. They are woefully ignorant of the gift of God. That's the false teaching of Calvinism! True Biblical salvation is grounded in the promises of God, where there is no cost whatsoever to the recipient, because the gift of God has been paid in full by the Giver (1st Peter 1:18-19). This is the mindset of a true believer. The cookie jar is placed by God on the bottom shelf for anyone to receive and enjoy. Salvation is completely unconditional. You just take it freely! Christ died, that's history; Christ died for me, that's salvation! The corrupt teaching of Lordship Salvation places a very heavy burden upon the sinner, whereas the Gospel places the full weight of our sins upon Christ alone on the cross. The requirement for a person to forsake their sinful bad habits to be saved is a very heavy burden to bear. That's why you never see Ray Comfort winning anybody to the Lord in his public street preaching meetings. Ray tells everybody how sinful they are, and that they have to turn from their sinful ways to be saved, so he has no converts! Salvation to the Lordship Salvationist is conditional upon man's intent to reform; whereas to the doctrinally sound fundamentalist, the Gospel may simply be believed to be saved. In Acts 2:41, there were 3,000 precious souls saved in ONE DAY. They were saved simply by receiving the Gospel when they heard it preached by the apostle Peter on the Day of Pentecost (i.e., fifty days after Jesus resurrected from the dead). If 3,000 people could be saved in one day by simply receiving the Gospel, then it is no different today. God made the plan of salvation incredibly simple, so that even stupid people can do it. I say that kindly, but truthfully. All that is required is childlike faith to be saved. John MacArthur actually teaches that children cannot be saved, because he says surrendering your life to Christ is an adult decision. Ladies and gentleman, that is not “the simplicity that is in Christ” (2nd Corinthians 11:3-4). Beware of anyone who makes it difficult and hard to be saved. Heresy! That is self-righteousness! Adding even the slightest work of self-righteousness to the Gospel corrupts it into a false way, a false plan, a road to damnation. The problem is that there is a common misunderstanding of the word “repentance.” Many false teachers today are saying that repentance in the Bible means to forsake one's sinful lifestyle. Nothing could be further from the truth of God's Word. That is the English definition of “repent,” not the Biblical Greek meaning. In Mark 1:15 Jesus said, “The time is fulfilled, and the kingdom of God is at hand: repent ye, and believe the gospel.” The Bible doesn't say, “Repent ye, and stop living in sin.” No, rather, the Bible says, “Repent ye, and believe the gospel.” I am not saying that God approves of a believer continuing in sin, God forbid. I am simply saying that the change of life which genuine repentance brings is not a part of saving-faith. We don't live for God to get saved; we live for God because WE ARE SAVED. Eternal life is a free gift. Salvation is receiving, not giving. SOURCE: Dr. Harry Ironside; Except Ye Repent, p. 16. We are saved wholly by God's grace, through faith in Christ Jesus. We are saved by HIS RIGHTEOUSNESS. Matthew 6:33, “But seek ye first the kingdom of God, and HIS RIGHTEOUSNESS; and all these things shall be added unto you.” Romans 10:3,4, “For they being ignorant of God's righteousness, and going about to establish their own righteousness, have not submitted themselves unto the righteousness of God. For Christ is the end of the law for righteousness to every one that believeth.” Amen! 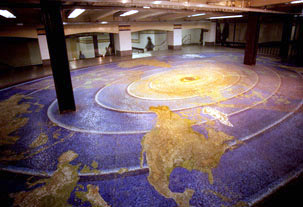 The word “repent” in Mark 1:15 is the Greek verb METANOEO, meaning, “to think differently.” When a person acknowledges their GUILT of sin for violating God's law, and that person believes on the Gospel of the Lord Jesus Christ, believing that He raised up from the dead 72 hours later, they are saved immediately and eternally. We are the sinners and Jesus is the Savior. It's that simple. Please read, What is Biblical repentance? I am dismayed when I hear professed Christians say that the Holy Bible is not something we should fight over. What? If God is going to judge us for the very words we speak (Matthew 12:36), then don't you think that the Words He speaks are equally important? Yes, of course! Everything that we believe as Christians hinge upon EVERY WORD THAT PROCEEDETH OUT OF THE MOUTH OF GOD (Matthew 4:4). Therefore, I need an every word Bible. God only wrote one Book. There are literally hundreds of English translations, which vary widely in their content, meaning and doctrine. This is why I defend, love and promote only the King James Bible. All other English translations on the market today are corrupt! It does matter, very much, that we have the right message, from a trustworthy Bible. As Pastor John Wilkerson rightly says in his excellent MP3 sermon “DOCTRINE”... “Doctrine determines your destiny!” I praise God for the inspired and preserved King James Bible!!!!!!! Clearly, Ironside taught a Free Grace view of the Gospel. Harry A. Ironside correctly recognized repentance as the confession that "one is utterly without merit" and that if one is "ever saved at all it can only be through the merits of our Lord Jesus Christ." Salvation is without works of self-righteousness. Romans 4:5 plainly teaches that a man's faith is COUNTED for righteousness, i.e., the righteousness of Jesus Christ is imputed to one's heavenly record by faith. Repentance and faith are inseparable. The Gospel of John mentions the word “believe” 85-times; but the word “repent” is never mentioned even once. In genuine salvation, one who believes on Jesus Christ has repented; and one who repents has believed on the Lord Jesus Christ for the forgiveness of sins. THE GOSPEL - The “Gospel” is defined as Christ's DEATH on the cross for our sins, He was BURIED, and He bodily RESURRECTED from the dead three days later (1st Corinthians 15:1-4). Anyone who judges them self as a needy sinner and believes the Gospel is saved. I believe that one's salvation is solely based in Christ's righteousness and has absolutely nothing to do with one's desire to depart from sin. Romans 4:5-6 plainly teaches that salvation is “without works” of self-righteousness, and that we are saved by the imputed righteousness of God by faith in Jesus Christ (Philippians 3:9; Romans 10:3-4). Salvation is of the Lord. A changed life is the FRUIT of the indwelling Holy Spirit (Galatians 5:22-23), and not a part of the ROOT of saving faith. A person gives up their sins because they ARE a Christian (Ephesians 2:10), and not to BECOME a Christian (Ephesians 2:8-9). The changed life comes AFTER a person is saved, as a person grows in the milk of the Word (1st Peter 2:2). In the Gospel, the total weight of sin's burden was placed upon Jesus Christ on the cross. We are saved by believing the Gospel when we hear it preached (Galatians 3:2; Acts 2:41). LORDSHIP SALVATION - Evangelist Ray Comfort on the other hand, believes that a person must stop deliberately committing sin to be saved. He thinks this is what it means to “repent.” Mr. Comfort teaches that those who profess faith in Christ but still continue in sin, are not saved because they have never given up their sins, which he teaches is necessary for salvation. This is unbiblical. Ray Comfort teaches that a changed life is part of the ROOT of saving faith. According to Mr. Comfort, a person must give up their sinful ways to BECOME a Christian. In this false plan of salvation, a sinner must change in order to be saved. Other false prophets, like Jack Chick, teach that you must “be willing to change” to be saved. Lordship Salvation places the burden of sin upon the sinner's shoulders, instead of fully upon Christ. Satan's greatest weapon is to con people into living the Christian life without ever being born again. Partial faith in Christ plus human effort is religion, and does not produce the new birth by the Holy Spirit of God. Do you see the drastic difference between the two different Gospels? The former is the truth, but the latter is damnable heresy. May I kindly say, You don't have to receive Jesus as your “Lord” to be saved, only your “Savior” (2nd Timothy 4:10). You don't make Jesus Lord, He is Lord. The moment that you get saved, Christ automatically becomes your Master (Lord). 1st Timothy 4:10, “For therefore we both labour and suffer reproach, because we trust in the living God, who is the Saviour of all men, specially of those that believe.” Jesus is the Savior of all men, including Christ-rejecters. They are not saved, but Christ still died on the cross for their sins. To be saved, you simply need to receive Jesus as your Savior (John 1:12). Please listen to the following beautiful, doctrinally sound, MP3 sermons, which clarify God's plan of salvation for man. When you get saved, the Holy Spirit comes to live inside your body. If God lives inside a person, we can see it by the FRUITS in their life (James 2:18-22). When a person experiences a false conversion, it's not because they never gave up their sins as Ray Comfort errantly teaches. It's because they never genuinely believed on the Lord Jesus Christ (Matthew 7:21; John 6:40). Jesus promised in John 6:37, “All that the Father giveth me shall come to me; and him that cometh to me I will in no wise cast out.” This Scripture also teaches the eternal security of every believer. God has never disowned even one of His children. Mr. Comfort adds turning from sinful behavior to the Gospel. That's where Ray Comfort goes astray in his theology. To teach that giving up one's sins is mandatory for salvation is a false Gospel of self-righteousness, which excludes everyone who is not willing to stop living in sin. Who can stop sinning? We all sin every day. Jesus promised in John 6:37 that He will not turn away anyone who comes to Him for salvation, and that includes the vilest sinner who isn't ready to give up his sins yet. 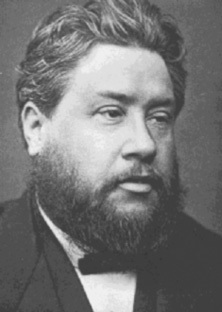 Pastor Charles Spurgeon teaches this beautiful truth in chapter one of his excellent book, “All Of Grace.” What Did Pastor Charles Spurgeon Believe About Repentance? (God saves sinners AS IS!!!). All God requires is that a person acknowledge their guilt of sin (Romans 3:19), and believe on the Lord to be forgiven (Acts 10:43; Romans 10:13). Acts 16:30-31, “Sirs, what must I do to be saved? And they said, Believe on the Lord Jesus Christ, and thou shalt be saved, and thy house.” That's the way to be saved, i.e., to believe on Jesus as the Christ. There are hundreds of perversions of the Gospel nowadays. Every believer needs to be a watchman, a pit bull guard dog, that shines the Light of God's Word upon the darkness. That's the only way to expose the darkness, i.e., by shining the Lamp of God's Word upon it. Salvation is simple—we are SINNERS and Jesus is the SAVIOR. If a person must forsake their sinful habits to be saved, then salvation is extremely complicated. The hypocrisy of Ray Comfort's and John MacArthur's Lordship Salvation heresy is that NO ONE can give up all their sins. 1st John 1:10 says that we are calling God a liar if we say we are without sin. Only Jesus is completely without sin (1st Peter 2:22). What does it mean to "put your faith in Jesus Christ?" It means to personally trust in Jesus the same way you’d trust in a parachute if you had to jump 25,000 feet out of an airplane. You wouldn’t just "believe" in the parachute; you would put it on! In the same way, the Bible says, "Put on the Lord Jesus Christ..." and you will be saved. There are millions of people who "believe" Jesus exists . . . but they have not put on the Savior—there’s a BIG difference. And the difference will be obvious when you “jump” through the door of death. There is absolutely nothing in the Word of God which requires a person to “surrender your life to Jesus Christ” to be saved. It is a damnable heresy to require people to make a commitment to Christ to be saved. Jesus DIDN'T ask us to surrender our life to Him to be saved, He asked us to BELIEVE on His name (John 3:16; Romans 10:13). I like Ray Comfort's style of preaching, and he seems like a great person to know, but he's wrong on the Gospel. I have nothing personal against him or Kirk, God knows my heart. If Ray Comfort or Jack Chick, or Paul Washer, or John MacArthur, and hundreds more, ever correct their flawed doctrinal positions, I'll remove all my articles exposing them and instead promote their ministries. I am presently promoting some non-denominational ministries, like Dr. Texe Marrs, because he is correct on the King James Bible and the simplicity that is in Jesus Christ. I promote Pastor Steven Anderson's ministry, even though he teaches a PostTribulation Rapture (I teach a Pretribulation Rapture). A person doesn't have to agree with me on everything for me to support their labours for Christ. Brother Anderson is 100% correct on the King James Bible and the Gospel. Those are the two big deal breakers! Ray Comfort is a good man, but in my estimation he is not saved. You cannot be wrong on the Gospel and still be saved. Here is an excellent rebuttal of Ray Comfort's false plan of salvation by Michael P. Bowen. SOURCE: Harry A. Ironside, from the Gospel tract, Another Gospel? Dr. Ironside is doctrinally correct. Salvation is of the Lord. Surrendering one's life to Christ for salvation is a false gospel. Romans 4:5 couldn't be any clearer on this matter... “But to him that worketh not, but believeth on him that justifieth the ungodly, his faith is counted for righteousness.” It is sad that the simplicity of salvation, i.e., the Gospel, has been perverted in so many ways today. It is a shame that someone like Ray Comfort, who is a dynamic and charming speaker, and is a nice guy, is preaching a false gospel to the masses. Perhaps Mr. Comfort does it ignorantly; but nevertheless, he is teaching works salvation. It's not just a matter of semantics. Ray Comfort clearly states: “You must turn away from sin” and “surrender your life to Christ” to be saved. Although it is true that a person needs to turn from their sins to be saved, it is only in the sense of acknowledging one's guilt of sin before God (Romans 3:19). To turn to the Lord for forgiveness is to turn one's back against sin. This is Biblical repentance. From reading numerous writings by Ray Comfort, it is abundantly clear that he interprets “turning from sin” as trying very hard to stop committing sins. That is wrong. In salvation, we turn to Jesus to be forgiven of our sins, we don't turn from our sins as a prerequisite to believing on Jesus. Christ died, that's history; Christ died for me, that's salvation! Clearly, Ironside taught a Free Grace view of the Gospel. Harry A. Ironside correctly recognized repentance as the confession that “one is utterly without merit” and that if one is “ever saved at all it can only be through the merits of our Lord Jesus Christ.” Salvation is without works of self-righteousness. Romans 4:5 plainly teaches that a man's faith is COUNTED for righteousness, i.e., the righteousness of Jesus Christ is imputed to one's heavenly record by faith. Repentance and faith are inseparable. The Gospel of John mentions the word “believe” 85-times; but the word “repent” is never mentioned even once. In genuine salvation, one who believes on Jesus Christ has repented; and one who repents has believed on the Lord Jesus Christ for the forgiveness of sins. Jesus DIDN'T ask us to forsake our sins to get saved; no, rather, He asked us to BELIEVE on Him that He could save us from our sins. Being a Christian does NOT give us God's permission to sin. Not at all. Every believer will give account to God for their deeds at the Judgment Seat of Christ (Romans 14:12; 2nd Corinthians 5:10). The notion that a lost sinner must "desire to have nothing to do with sin" to be saved (which is exactly what Ray Comfort teaches) is of the Devil. Most of what the Jehovah's Witness cult teaches is 100% Scriptural; but it's that small percentage of damnable heresy that condemns them all to Hell. John MacArthur is a dynamic Bible teacher and pastor; but ruthlessly denies the power of the literal blood of Jesus. Therefore, John MacArthur is an unsaved heretic. Ray Comfort is awesome in many ways, which is why he is so dangerous. 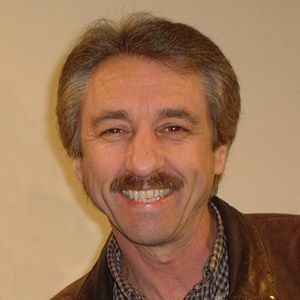 Most "everything" you read from this man is 95% right on target; however, Ray Comfort adds WORKS to God's Plan of Salvation which renders it VOID and USELESS. The most effective lies are the one's that sound the most like the truth, and Satan is the Master Deceiver behind Ray Comfort's ministries (Living Waters, Way of the Master, etc.). with Christ's Blood. This, according to the Bible, is a FALSE GOSPEL which cannot save a lost man from Hell. Ray Comfort is just "one of thousands" who twist the Bible to make it say what he wants it to say, rather than telling us what it really says — he is a tool of Satan because Satan's time is short. We've not long to go before the Rapture, and Satan is busy deceiving everyone he possibly can. Remember, the best lies are the one's that sound the most like the truth. Ray Comfort is a master deceiver, following the trail of John MacArthur. Please read: Charles Surgeon DIDN'T Teach Lordship Salvation. 1a) What Ray says: Ray tells us that in order to be saved we must forsake all sins. 1b) What the Bible says: Forsaking sins is a condition for being a disciple; not for being saved (Luke 14:26-27 / Luke 9:23 / Luke 14:33 / Romans 4:5 / John 12:42 ). 2b) What the Bible says: Jesus Christ is the Savior! Living the “Christian Lifestyle” cannot save us (John 5:39-40). Living a consecrated life is the FRUIT of genuine repentance; and not a part of saving faith. The Bible is clear that man's good works and intentions have no part in gaining him salvation, just look: "For by grace are ye saved through faith, and that not of yourselves; it is the Gift of God, not of works, lest any man should boast" (Ephesians 2:8-9). Ray Comfort is subtle, as are many false prophets today. Here is Ray Comfort's doctrinal Statement of Faith, and it is 100% Biblical. But then you listen to his videos, and The Good Test I just mentioned, and Mr. Comfort teaches something totally different. Benny Hinn does the exact same thing. Mr. Hinn's website presents the basic plan of salvation; but then in public he endorses Catholicism's Our Lady of Fatima, praises the Pope, never condemns works salvation, never condemns Baptismal Regeneration, etc. Benny Hinn exploits the Gospel to make merchandise of his victims... 2nd Peter 2:3, "And through covetousness shall they with feigned words make merchandise of you: whose judgment now of a long time lingereth not, and their damnation slumbereth not." Martin Luther, as do Lutherans today, are guilty of the same hypocrisies. Martin Luther is renowned for his alleged awakening that "the just shall live by faith"; YET, Luther clearly taught Baptismal Regeneration in his Catechism writings. In fact, Martin Luther taught many damnable heresies after his alleged salvation experience, even Mary worship. Martin Luther is sadly burning in Hell today! Ray Comfort speaks out of both-sides-of-his-mouth, as do John MacArthur, Martin Luther, and others. All these men claim salvation by faith alone in Jesus Christ; BUT then PERVERT the Gospel by requiring people to either give up their sins, get baptized, or surrender their life to Christ to be saved. It can't be both ways! Salvation is either by faith, or by works—not BOTH. Titus 3:5 plainly states that salvation is NOT BY WORKS OF RIGHTEOUSNESS WHICH WE HAVE DONE! Ray Comfort's doctrine is flawed, and he needs to reconsider what he is teaching people. You don't have to forsake your sinful lifestyle to get saved; you forsake your sinful lifestyle because you ARE SAVED. A sinner need only acknowledge to God that he is a GUILTY sinner (Romans 3:19) who deserves the penalty of Hell (Romans 6:23; Revelation 21:8), and believe (trust) on the Lord Jesus Christ to forgive one's sins (Acts 10:43; 16:30,31). You need a Savior and Acts 4:10-12 tells us His name—Jesus Christ. Please read, Guilt verses Feelings in Salvation, and, No Salvation Without the Law. On Ray Comfort's website, http://www.wayofthemaster.com, under the drop-down-menu "Get Equipped," there's a link titled, Answers to 100 Common Questions. In this section you'll find Ray's heretical answer to the question... "Is Repentance Necessary for Salvation?" The answers are directly from The Evidence Bible, which was compiled and commented by Ray Comfort. This heresy also appears on Mr. Comfort's other website at... http://www.livingwaters.com/witnessingtool/browse.shtml. My Oh my, that is horrible false doctrine! I didn't write this article to be unkind, but to warn people about the dangers of Lordship Salvation. If Mr. Comfort would stand true to his Statement of Faith on his website, then there would be no problem, but he doesn't. Instead, he teaches lost sinners that salvation is conditional upon forsaking the act of sin. But the Bible teaches salvation is receiving, NOT giving (John 1:12; 4:10). Salvation is not doing your best, it is having Christ's best put to your account through receiving Him by faith. God will not save anyone who is trying to be saved, He will only save those who are trusting to be saved. Eternal life is a free gift (Romans 5:15; 6:23). There is a fine line between the turning from sin that genuine repentance brings; verses the turning from committing sin that false prophets require for people to get saved. Ray Comfort is putting the cart before the horse, as does pastors John MacArthur and Aiden W. Tozer. Beware of the John MacArthur and his Lordship Salvation Club! Ray Comfort: Is it Just a Matter of Semantics?